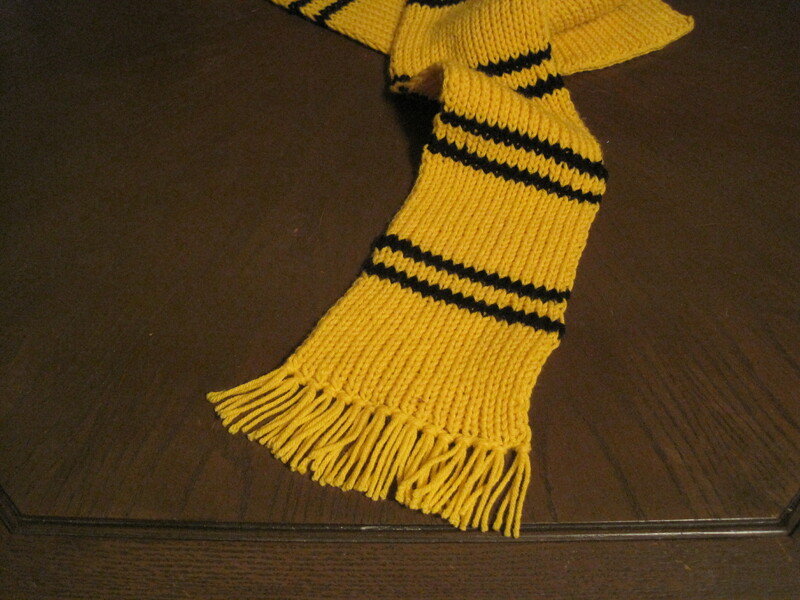 I’d finally finished my Hufflepuff scarf–even finished weaving in the dozens of loose ends–when I remembered the tassels. I still had to make fringe on either end. In the past I’ve cut all the tassels first, attached them with a crocheting hook, and then trimmed them even. 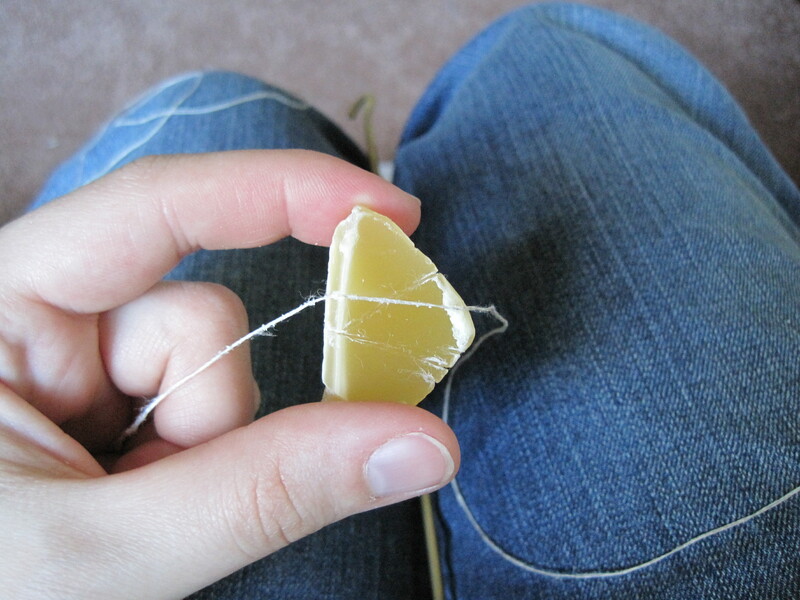 But I didn’t like all the fiddly bits of string. Here’s the new method I (might have) invented. 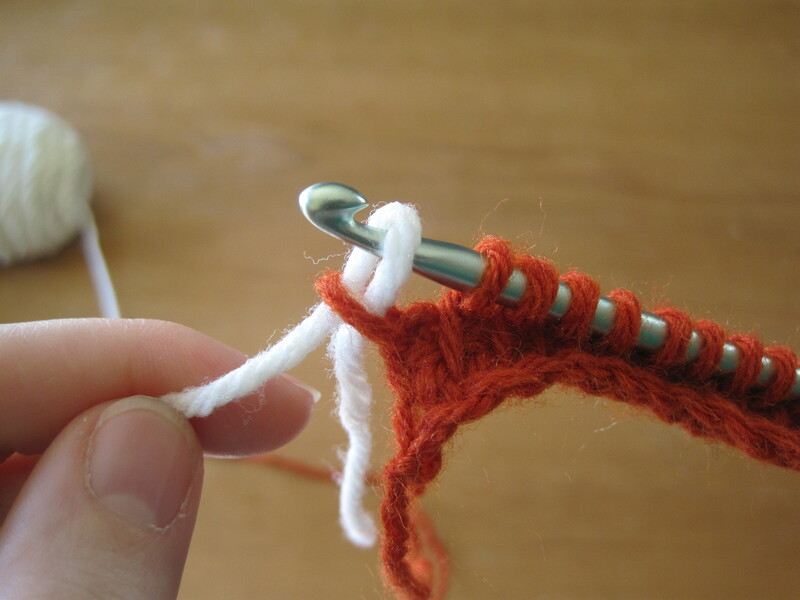 You’ll need a darning needle, scissors, a straight object (like a knitting needle or ruler), and the yarn of your choice. The sockalypse has come! My husband and I bought new socks to replace our pairs that are wearing out. 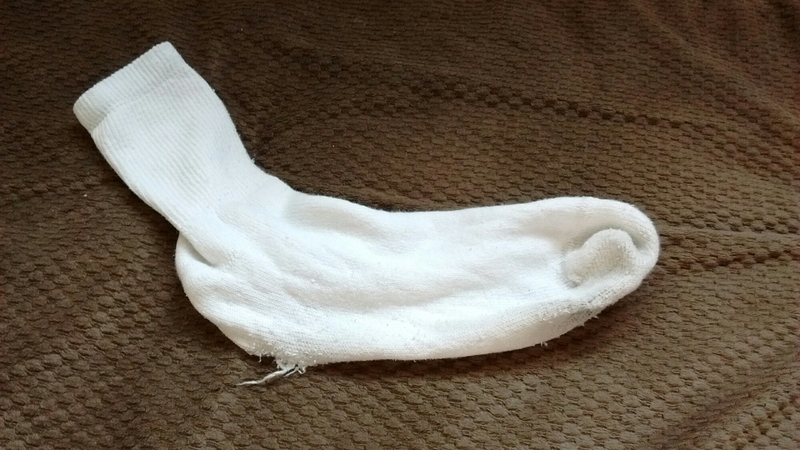 He HATES sorting socks, so he insists that he own only one kind of white sock. What to do with all the socks that he no longer wants? Yep. 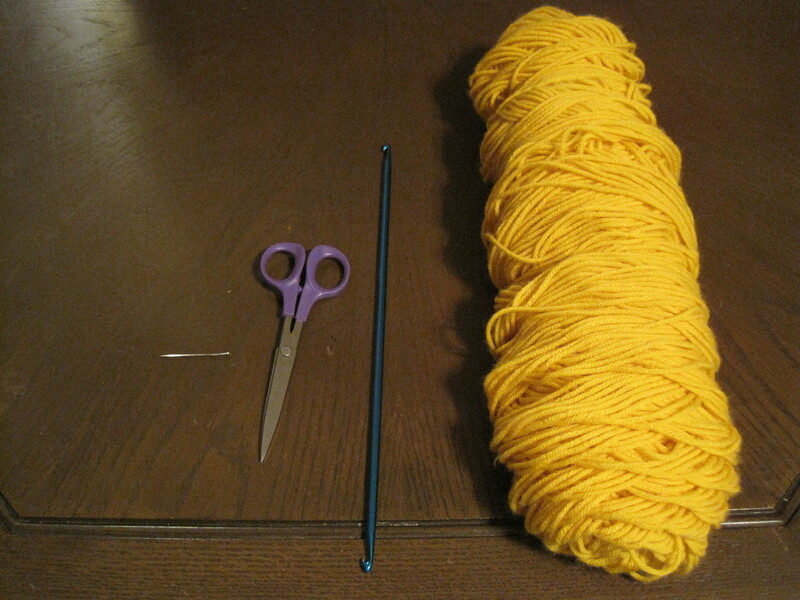 You didn’t think I really meant “all kinds of yarns,” did you? 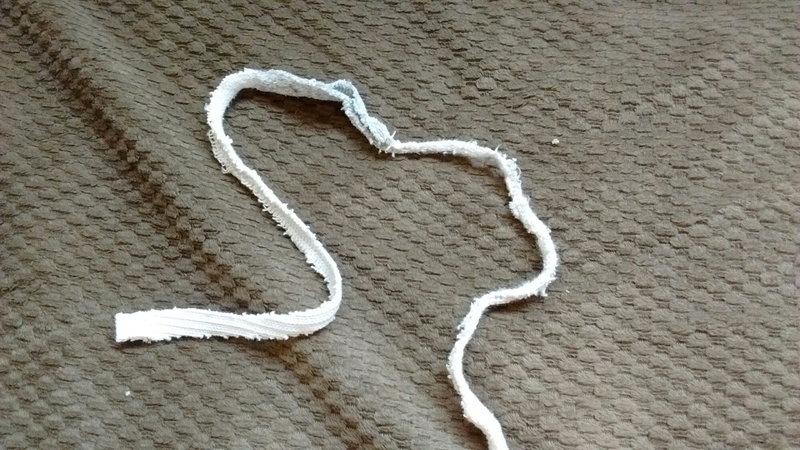 Simply cut each cotton sock into one long strip. This could probably done in a spiral fashion, but I prefer to snip it into strips one direction, not cutting all the way to the end, then slit each strip in half from the opposite end, again not cutting all the way to the end. This results in a long zig-zag of sock. Give the thing a good stretch, and it’s ready to work with. 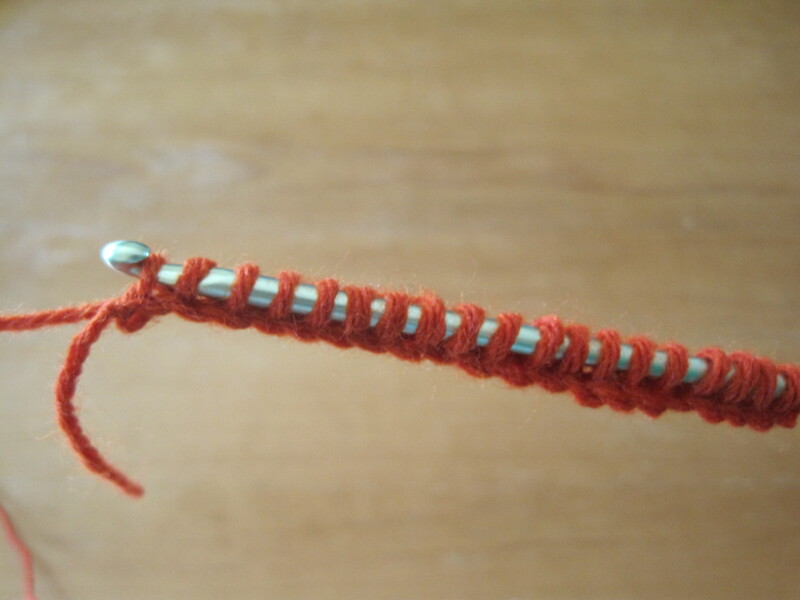 The possibilities of sock yarn are limited. After all, who wants something made out of old socks? But this would be great for something like a bathroom rug. 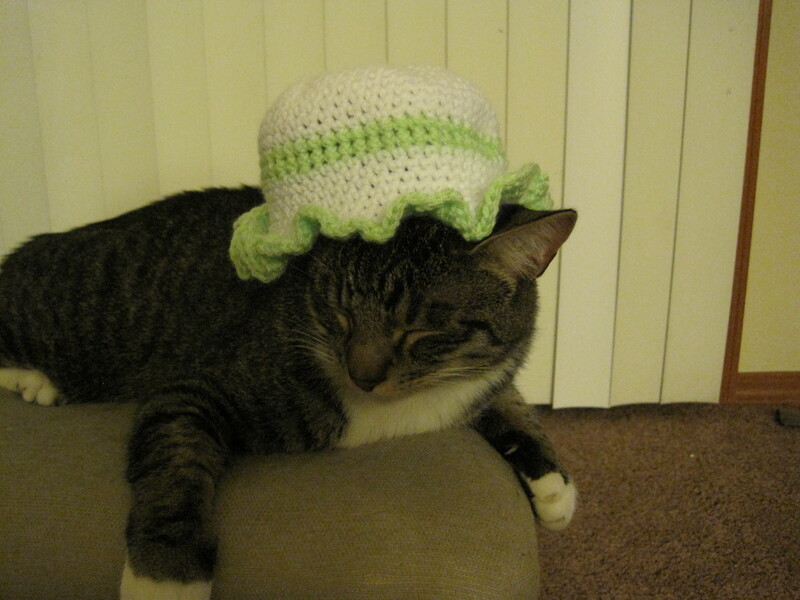 It makes a cushy, absorbent fabric when crocheted. I need to finish up a wedding present and my Hufflepuff scarf before I can invest any more time in this, but the upcycled sock yarn rug will be a thing. I assure you. Here’s my first stab at an amigurumi doll. I think she turned out fantastic! I did the head and torso in one piece and each of the limbs separately, because I wanted lots of flexibility in the shoulders and hips. I mostly made up the pattern as I went along, BUT I wrote it down so I could tweak it for future iterations. For example, with my next doll I’ll see how a more proportional head looks. Also, changing colors at different points would be an easy way to put clothes on her. Next: to figure out who she is and give her a face, hair, and clothing! This will be a great way to use up stash scraps. Edit: I made a .pdf of her pattern: Basic Big-head Amigurumi Doll Pattern. It may be a bit slapdash, but I assure you it is more intelligible than the original version. Enjoy. 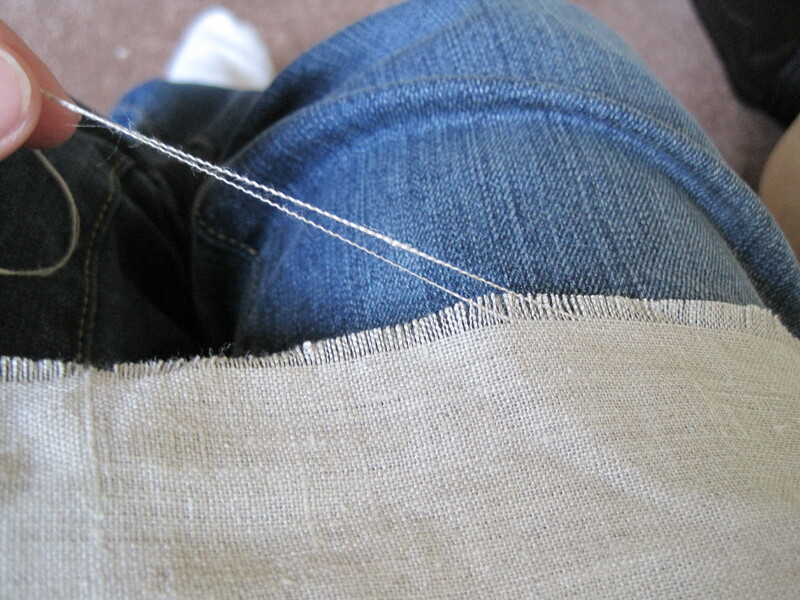 Adventures With Linen: Why Buy Thread? I’ve been wanting to sew some medieval garb using period materials for a long time, and I’m finally doing it! I haven’t quite nailed down my persona yet, but I’m thinking Christian Anglo-Saxon. Between AD 800 and AD 1066? Anyway, I forked out the cash for 100% linen and 100% wool cloth. Then I went looking for linen and wool thread. Not to be found at my fabric store. I supposed I’d have to order some online. But of course yesterday I really wanted to begin making the underdress, and I had yet to order any thread. That’s when I remembered I’d just spent all that money on linen. I had linen. So now I’m making my own thread. 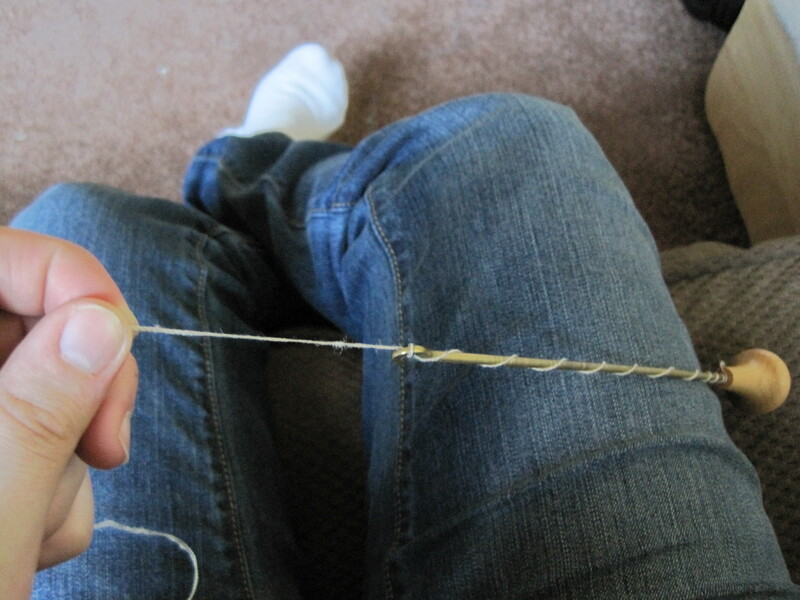 First I take pairs of long threads from the leftover fabric. 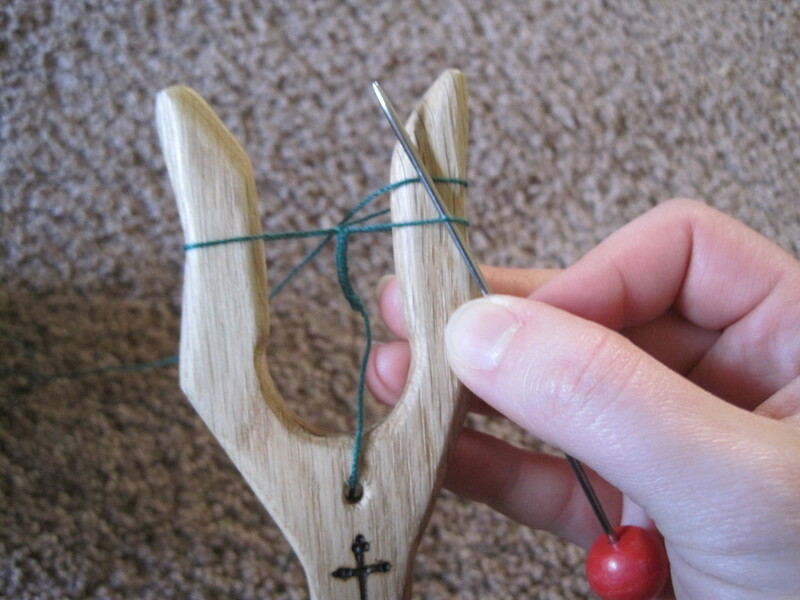 Then I give them a bit of twist on my drop spindle. Then I run them across a piece of wax. Et voila! 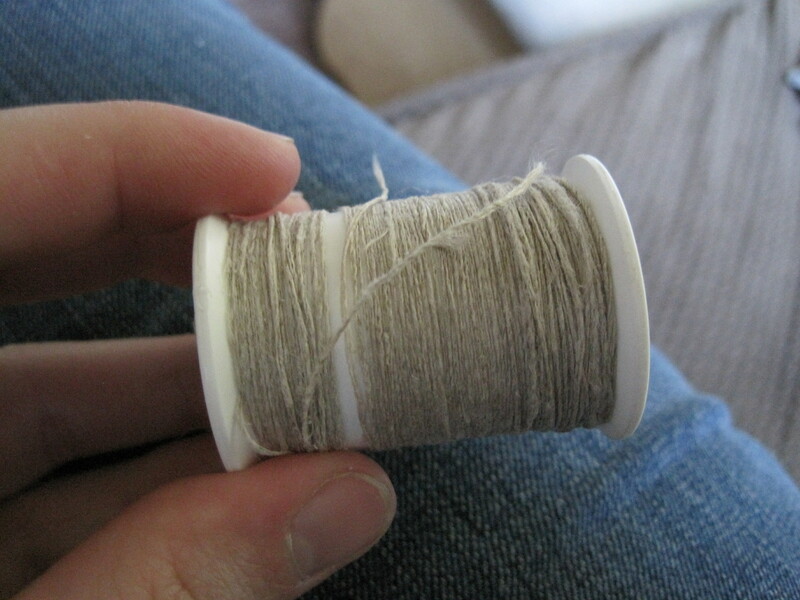 “Free” linen thread. So far I’ve hand sewn the shoulder seams and one sleeve + gusset, and the thread hasn’t broken on me. I call this a success. When I get to the point where I need wool thread for the overdress, I think I’ll spin it from some roving I have lying around, and then dye it with the same dye I’m using on the wool cloth. 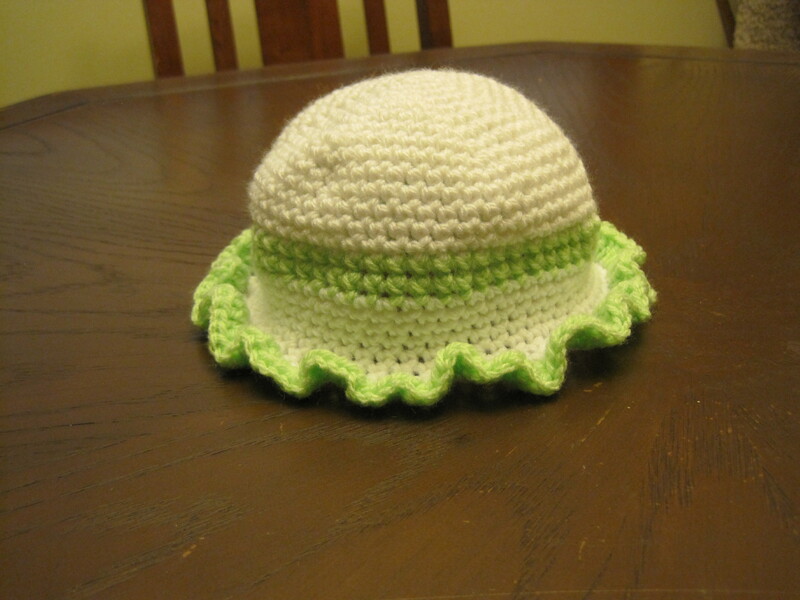 Due to the popularity of my post on Tunisian crochet last month, I’d like to revisit the craft in more detail. 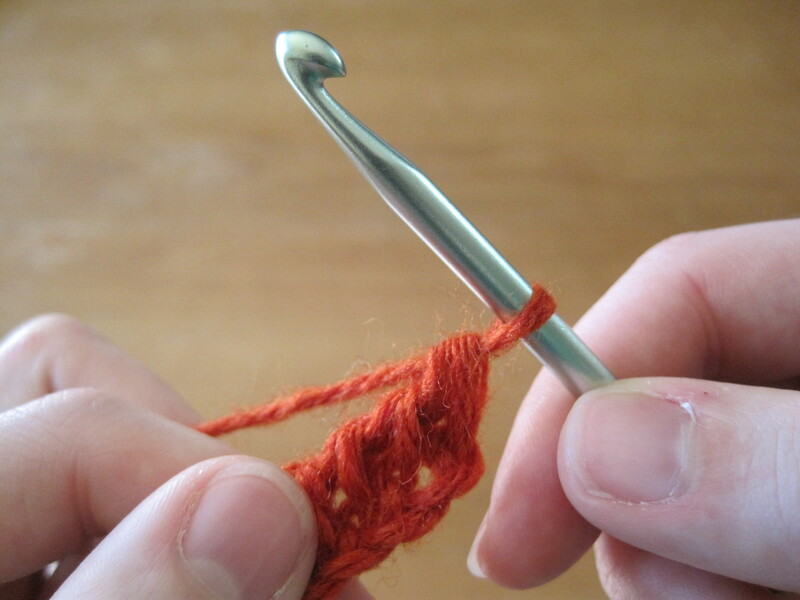 Tunisian crochet can be done with any type of crochet hook. Of course, ordinary crochet hooks limit the width of your project (though there are some neat spiral patterns that can make up for that). 1. Insert hook through loop on previous row. 5. Pull through both loops on hook. But instead of doing them in that order, you’ll do 1-3 for an entire row before going back along with steps 4 and 5. 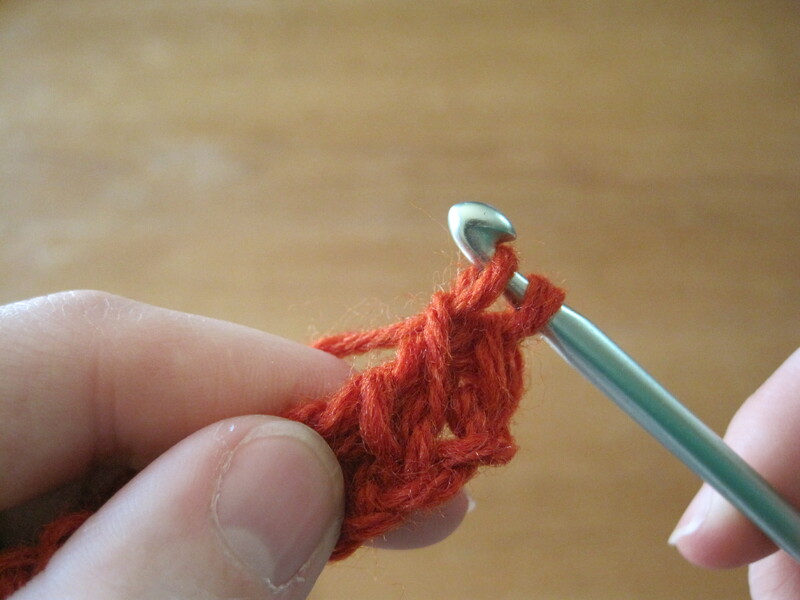 Pull up a loop in the first chain as if you were going to do a single crochet stitch. 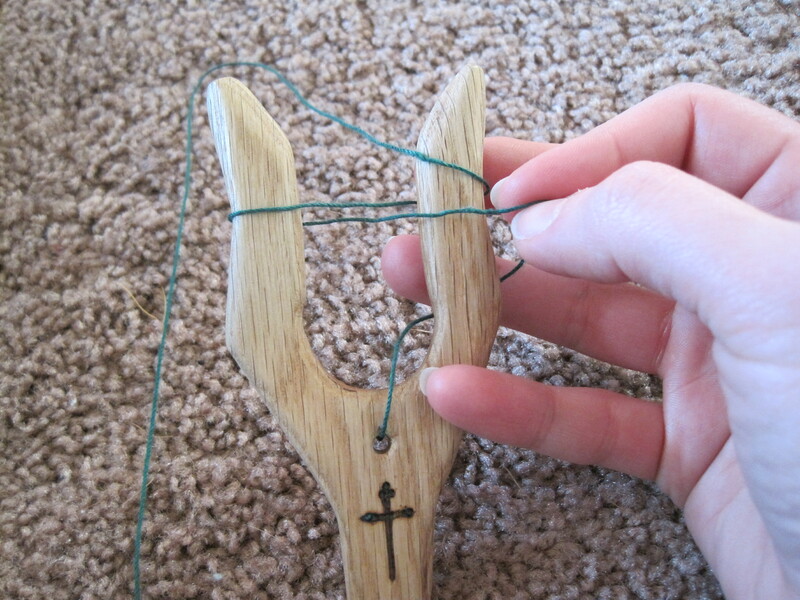 Then pull up a loop in the next chain, keeping all other loops on your hook. Repeat this step along to the end of the row. Yarn over and pull through two loops. 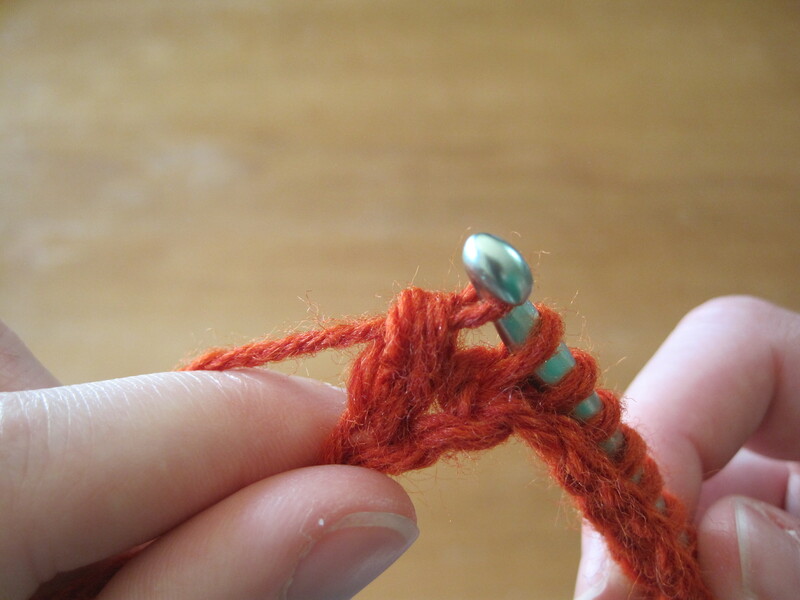 Continue to yarn over and pull through two loops until you are back where you started and only one loop remains on the hook. Start a new row, pulling up a loop through each vertical loop in the row below. Make as many rows as you like. 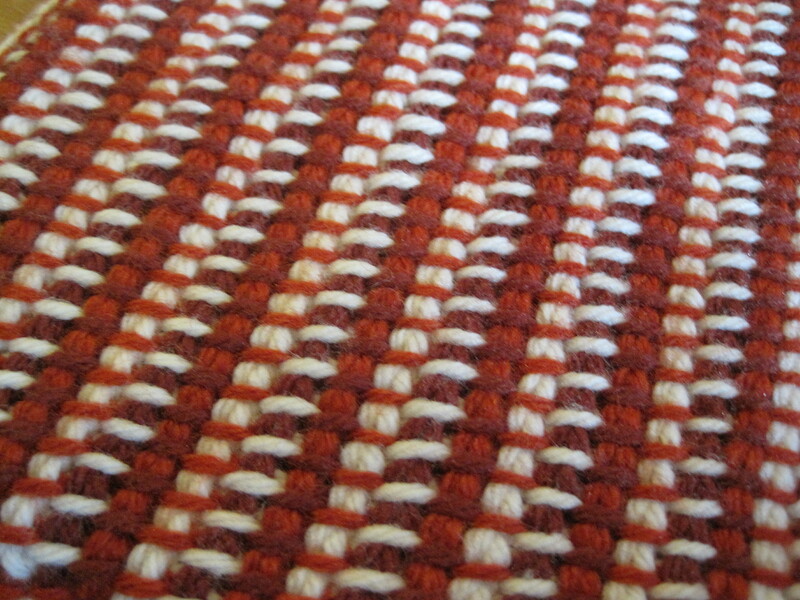 For some variation, try pulling in a new color at the * step. Using the second color, work back along the row and then start a new one. Change colors again when you reach the * step again. I’ve tried this with up to three colors to nice effect. 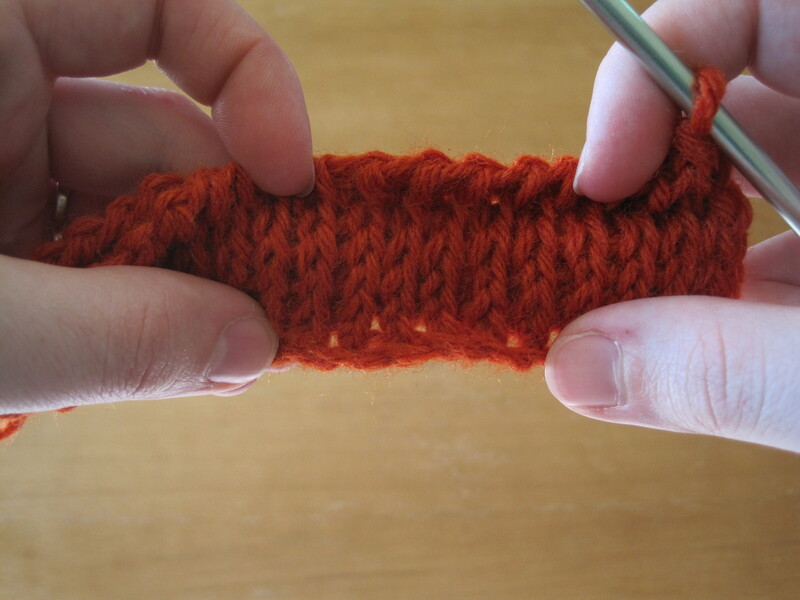 Once you’ve mastered this basic Tunisian crochet stitch, there are many variations to play with–like the one that turns out looking almost identical to knit stockinette stitch. 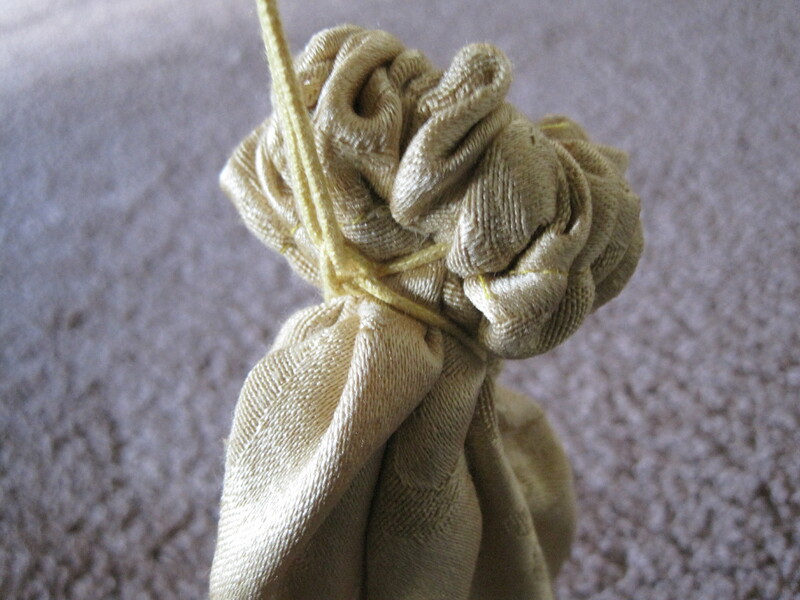 The other night, my husband decided to sew a pouch for his golden dollar coins, and I volunteered to lucet a drawstring for him. 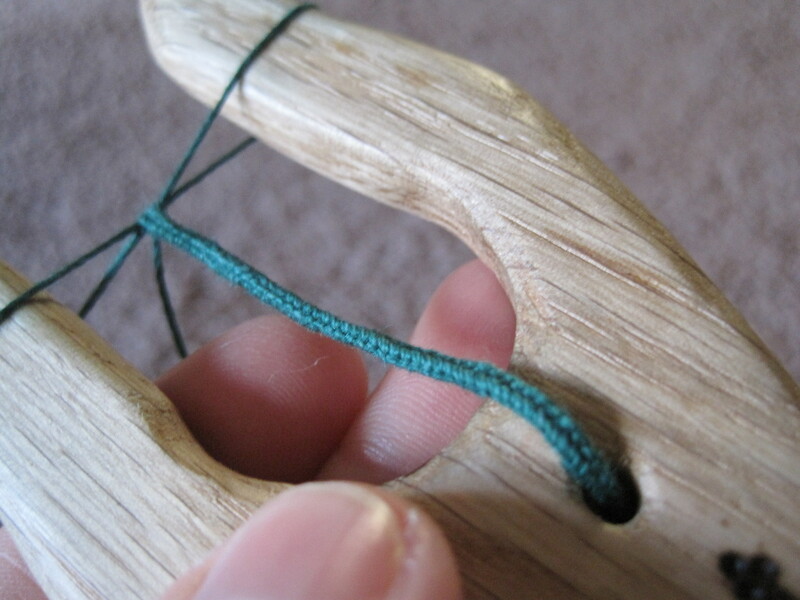 Lucet is a simple, old technique–dating back to the Vikings at least–for making braided cord. I learned it from some of my medievalist friends in college. All you need is a lucet. (If you’re patient, you can even do it on two of your fingers.) 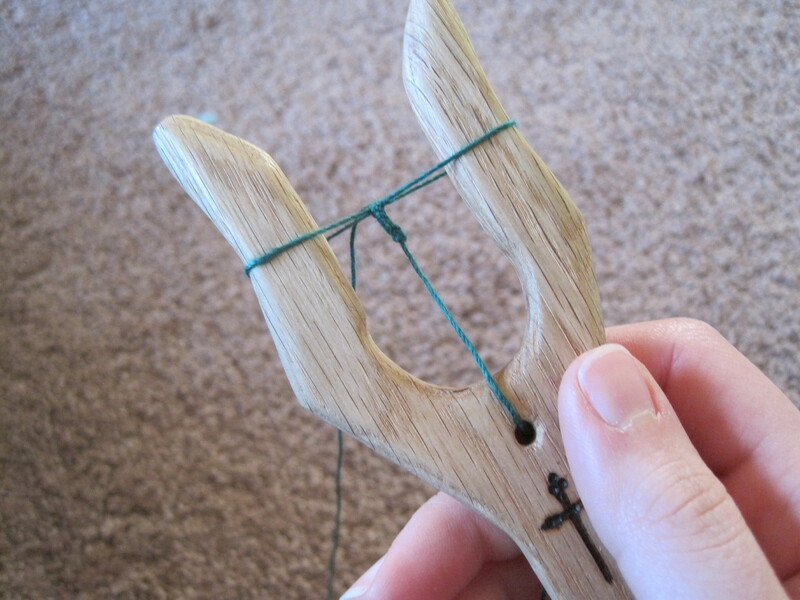 My handy husband made this lucet for me. 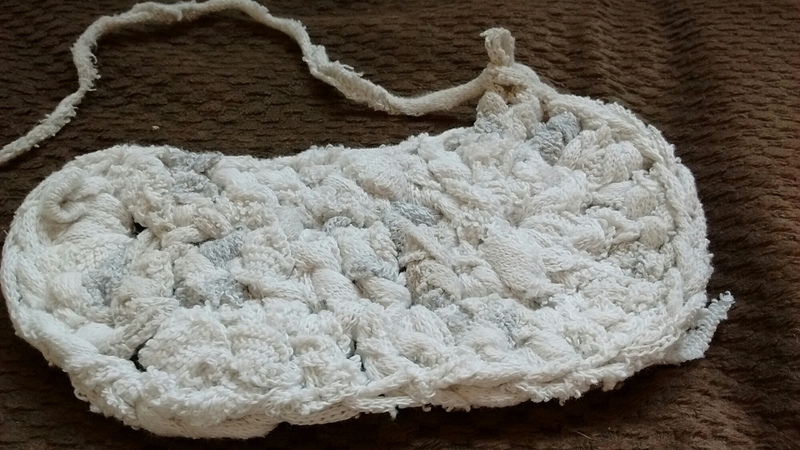 I usually use #10 crochet cotton, but you can use any string or yarn. 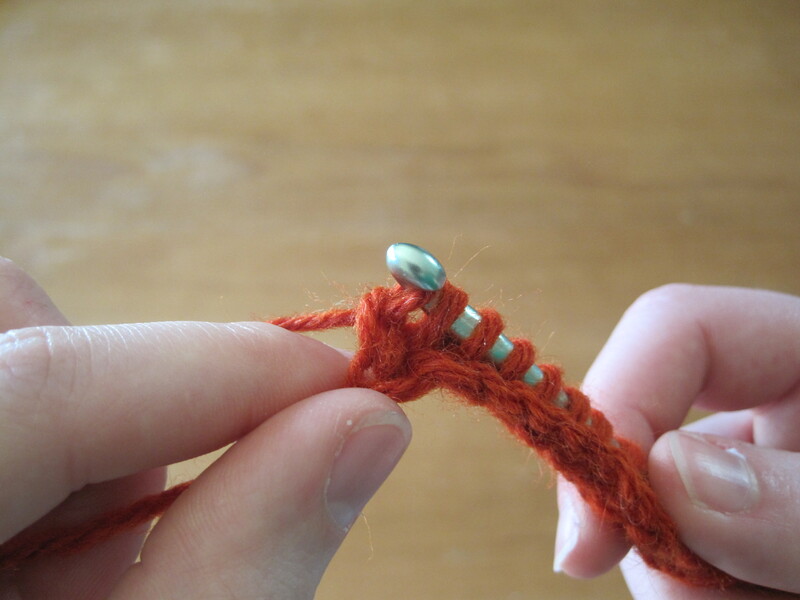 You start from the bottom and make a figure-eight around the prongs, then the beginning of a second figure-eight. 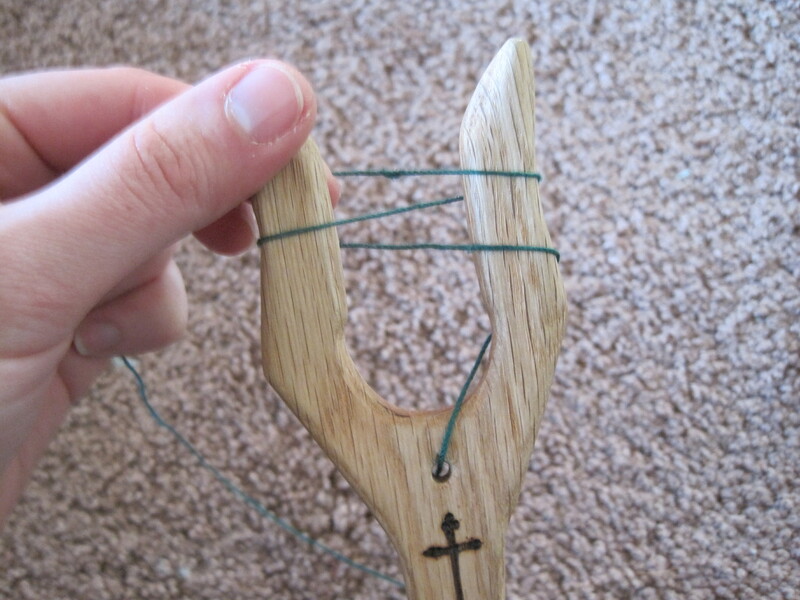 Next, you bring the lower string up over the prong and let it go. Cinch the whole thing up carefully. 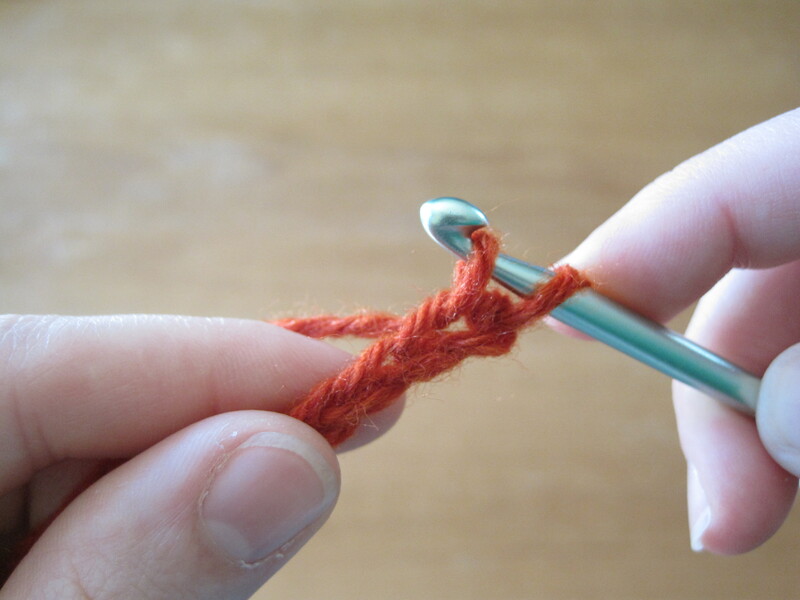 Finish your figure-eight, going around the other prong, and pull the lower string up over the other prong. Cinch again. If you keep doing that, you get cord! 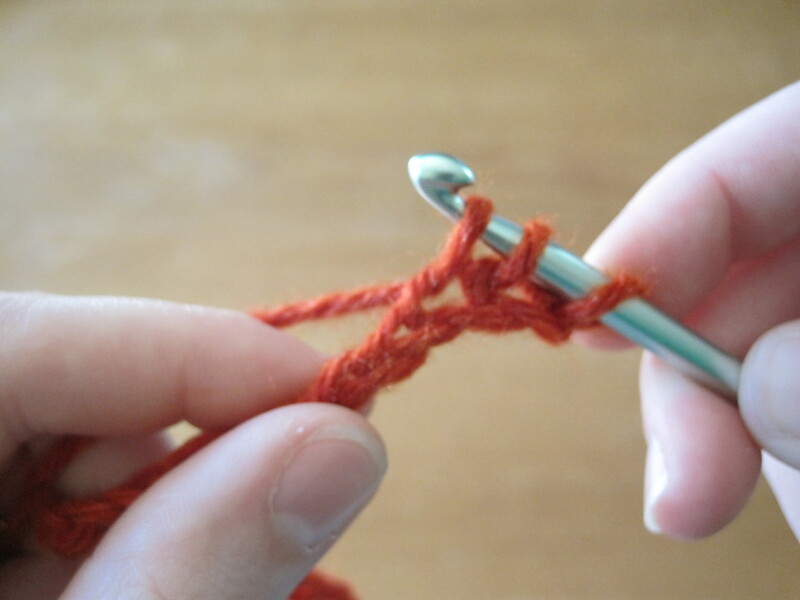 Having grown up with a Strickliesel (Knitting Nancy), I find it easier to use this thing, instead of my fingers, to draw the loops up and over the prongs. 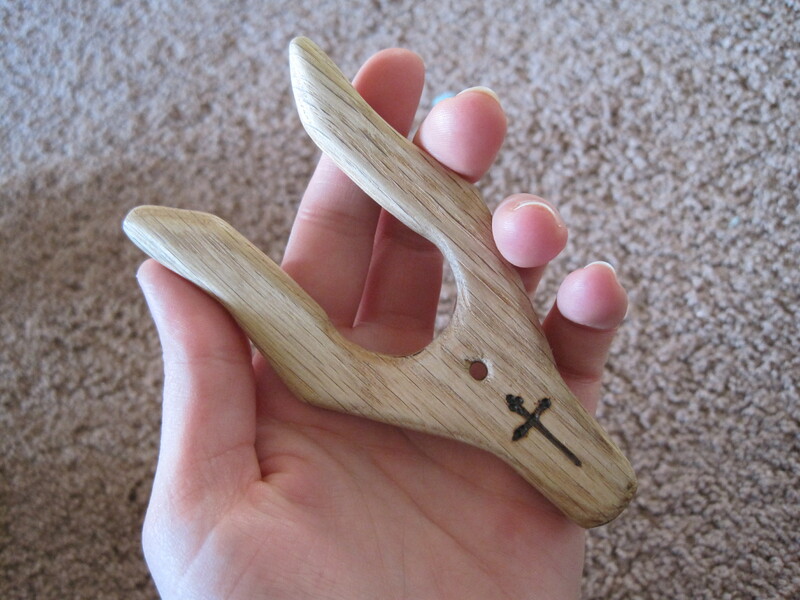 It makes nifty square cord, good for laces, drawstrings, necklaces, and what-have-you. I realize this isn’t a thorough tutorial. 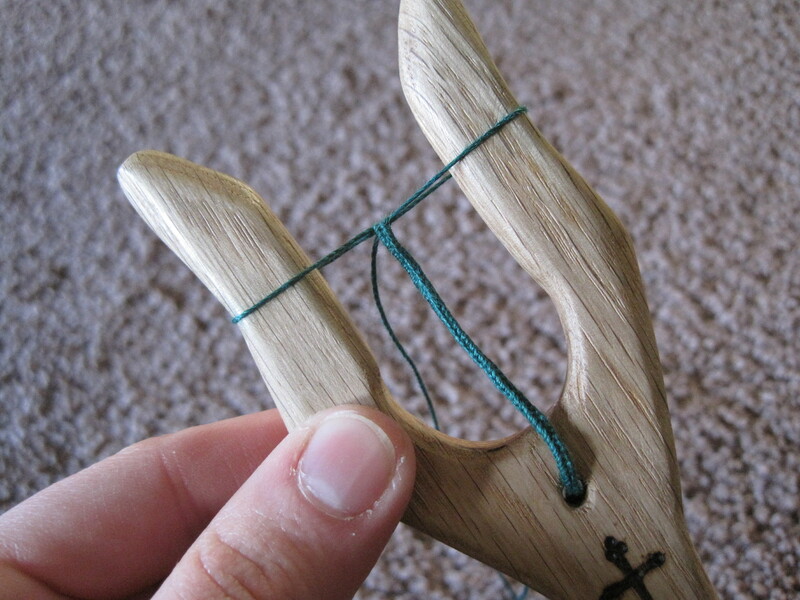 If you want to learn more, just go Google “lucet.” Even better, find someone with a lucet in your local branch of the SCA. She (or he) would love to teach you.